Ca. 400 p., 17,4 x 25,0 cm. 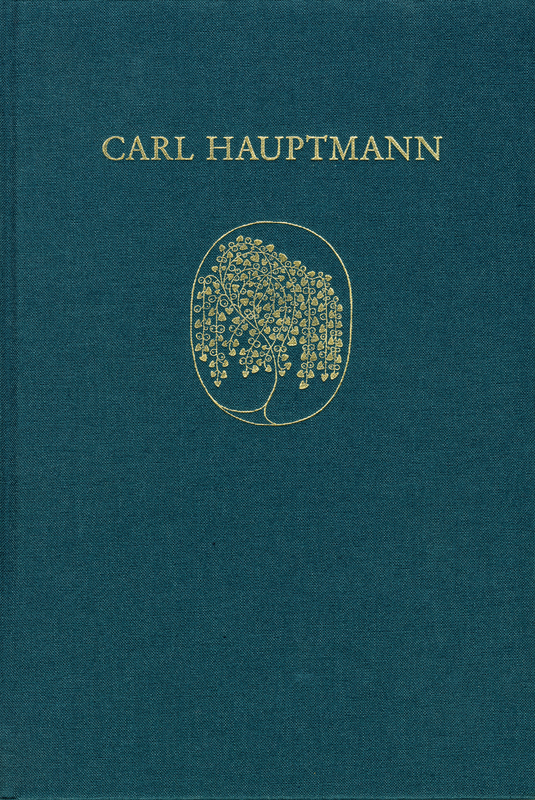 Before he became a writer, Carl Hauptmann aspired to an academic career. After studying natural sciences in Jena, under Ernst Haeckel (1880–1883) among others, he went to Zürich, where he enrolled in the Faculty of Philosophy to begin with (1884–1885), and later in the Faculty of Medicine (1885–1887). Among the professors there, it was Richard Avenarius (1843–1896) who had the greatest influence on him. The two works which document Carl Hauptmann’s scientific career are published in this volume. These are his dissertation on ›Die Bedeutung der Keimblättertheorie für die Individualitätslehre und den Generationswechsel‹ (The Significance of the Theory of Germ Layers for the Theory of Individualism and the Generation Change), presented in 1883, and ›Metaphysik in der modernen Physiologie‹, (Metaphysics in Modern Physiology), completed in 1892, which was announced as the first part of a comprehensive study entitled ›Beiträge zu einer dynamischen Theorie der Lebewesen‹ (Essays on a Dynamic Theory of Living Things). However in the following years the sequel to this work, which was originally to have paved Hauptmann’s way to a chair in philosophy, was written slowly and with inner resistance, since Carl Hauptmann had decided long ago to become a writer. In terms of language, these early texts reveal a strong creative power, in terms of content the ›Metaphysik‹ is not at all in line with the later work, ›Seelensucher‹ (Soul Searcher), in which Hauptmann advocates a strictly materialistic worldview in which the interaction between body and soul are to be seen as merely physiological.